I opened my eyes and was greeted by this sight--a little girl with sleepy eyes and a big grin, all suited up in her cowgirl hat and boots. Aren't little kids such a great reminder to enjoy the moment, wear fun clothes, and smile in the morning? A reminder that each day holds some excitement--and our perspective and choices have much to do with our experience? We don't need coffee or a full 8 hours or sunshine or a day off or obedient kids to experience joy in today. What we need is the nearness of God. Choosing to draw near to Him. 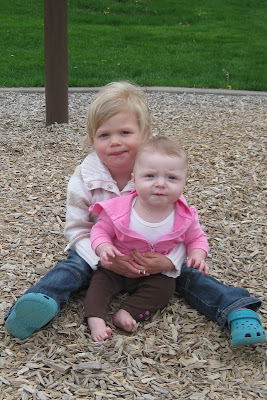 Last week, I met with a dear friend for a very long-awaited "play date." (I guess that's the term moms use when they get together and bring the kids.) We met at a park. When we loaded our girls into their strollers for a walk around the small lake, I looked at the four of us. I was almost overcome. Was this for real? We looked like regular moms. ﻿﻿﻿﻿ And we are regular moms. With extraordinary stories. You see, neither of us became moms in the "regular" way. This friend is so dear to me partly because her heart understood mine--and mine hers. We ached for the pain of the other. And she has allowed her great pain to inform her ministry. She has eyes to see breaking hearts. And I love her dearly for it. And so, there we were. A dream come true. Moms. With our sweet girls. Our great gifts. So, I've got this drawer. It's sort of like a graveyard. If you are yarn, you never want to end up there. This drawer holds both my disaster knitting projects and my unfinished ones. The unfinished projects I placed in the drawer because I knew almost without a doubt that they would surely end in disaster--and I couldn't quite bear to see it come to that. There is still some glimmer of hope that just maybe they will miraculously transform and be more beautiful than I could ever imagine. But the doubts win the day. So they stay in the drawer and off my needles. And somehow I couldn't quite bear to tear out these particular projects. Maybe it's because I felt so demoralized by the whole pursuit. Yes, I think that's it--because when I flip through the book that holds the sweater pattern that I loved and attempted, I break out into a cold sweat. 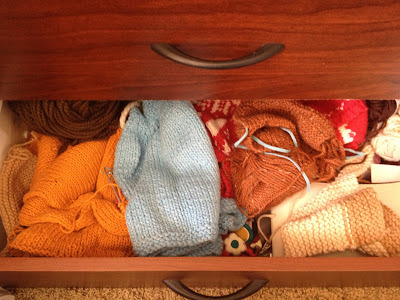 I feel sick when I see that unfinished orange sweater in the drawer. The one for which I had such hopes. You non-knitters think I'm exaggerating. I'm not. But it's good. The drawer keeps us humble. He doesn't retire any life to a drawer. He doesn't intend one for a purpose--only to make a mistake and ashamedly tuck it away. Sometimes we feel tucked away. I wonder if it is because we are being made into something we did not expect. Or maybe we are being re-purposed? I have my ideas of how I'd liked to be "purposed", but many of my life events haven't followed those plans. And ever so slowly, I find myself more and more "okay" with that. I can trust the Divine Knitter. He holds the pattern. He is the pattern designer too! I cannot trust myself--with my drawer full of failure (and I couldn't write a pattern to save my life). So now, I think, my drawer can become a reminder of my HOPE. My hope that I will never end up in a failure drawer. Mother's Day seems to me to be such a weighty day. And not just since I'm without a husband to buy a "mommy from child" card and make my coffee and bring home flowers. That is surely painful, but there are other things too. The difficulty with this day started for me quite a while back. For years, I longed to be counted among the mothers! And every year, my empty arms ached. I felt sick as the day approached. 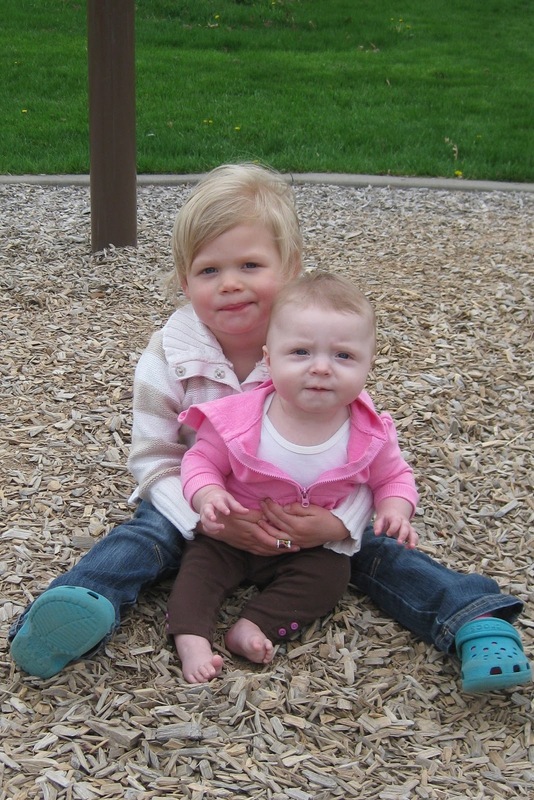 But then on November 17, 2009, I was given this great, joyful gift of motherhood—one I pray I never take for granted. I am continually amazed and humbled that I have been entrusted with this little soul. Yet now that I can call this day mine, I still cannot stop aching. I look through my tears at the pain etched on other childless women's faces. And I feel it all over again. I cry for their breaking hearts and their secret sorrows. And I watch as my dear friend can celebrate neither her mother nor her father on their respective days. These two parents produced my amazing friend who now bravely and beautifully raises her own little one without their presence. So, somehow, without having ever met them, I know them. 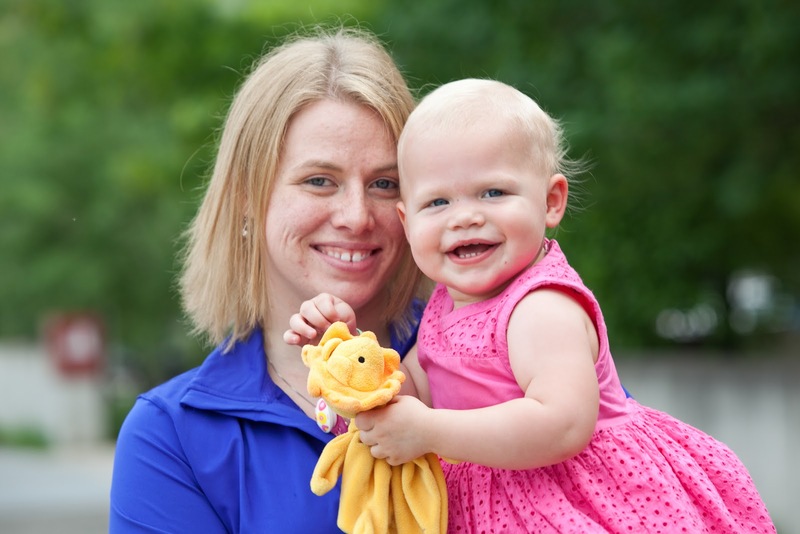 Because her amazing mothering is a result of being amazingly mothered. And another friend grieves the emotional distance—rejection—by her mother. Living but absent. Excruciating alienation. Still another can find really nothing positive—apart from life—that her mother imparted to her. Never nurtured. Abuse and pain haunts and colors her life. And I think of the multitudes of motherless children—the orphans of our broken world—who wait to finally find themselves in their forever families. I look at the bravest woman I know—my daughter's birth mother—whose sacrifice was greater than most mothers could ever imagine. Her first moments of motherhood were those of painful loss. And the world around her rarely celebrates her. Sometimes, in their ignorance, they painfully wound her. I grieve for my mother-in-law and other mothers that have said goodbye to the ones they raised. It is against the natural order of things. I wonder how often they must think, "Wasn't it just yesterday I held him in my arms? Taught him to tie his shoes? Can he really be gone? Gone before me!" I listen to the pain in another friend's voice as she wonders and hopes and prays that remission will be long and lasting. That she will have more time with her young children. Years? Yes, Lord, give years! I think of the military families whose sacrificing of the comfort of being together gives the rest of us comfortable togetherness. I remember the women whose husbands have gone before them. These dear men will not tell their wives this year how glad they are that they married them and what fantastic mothers they are to their children. And the men whose beloved wives are no longer there—no longer mothering their children. They try to fill her shoes for their kids, but they know they never can. And those kids—they have a mother-hole in their hearts. And so, I remember you all this weekend, knowing that Sunday will likely bring pain. I am so very sorry for your hurting hearts. And for the many, many amazing mothers I know...I celebrate you. My own mom. She has taught me how to be a mom. She still mothers me. She cries with me, cooks for me, puts up with me, advises me. She teaches me daily about what it means to swallow your pride, turn the other cheek, give until it hurts, forget about problems and focus on the gifts of life. And she grandparents her five trouble-making but super adorable grandkids. And they are over the moon about their Nana. My sister. I've never known a more competent person in my life. She juggles an enormous load of people and responsibilities. And kids are on her hips and up her nose. All the time. They stick their fingers under the bathroom door and climb in the shower with her when she thought she would have just a moment of peace. And later she realizes that she shaved only one leg. They spill—into the freshly washed diaper bag—all the liquid motrin that the teething, screaming baby needed. They get the stomach flu three times in one month. And while she loves and serves and sacrifices for all these little people (and jokes about the chaos and her pending insanity—or in the hard moments, cries and wishes she was comatose), she has myriads of friends counting on her too. And Erika thinks she is the greatest. My mother-in-law. She raised one of the best men I have ever known. A man who was a gentle, funny, wise optimist who celebrated everything. And she makes my daughter feel that she is the most important girl in the world. My sweet friends. They compare potty training strategies, nuk discontinuation game plans, discipline tactics, natural sunscreens, crockpot recipes, craft ideas (which I aspire to but never really do with Erika), schooling decisions, and sound advice on mommy coping mechanisms and stress-relievers, as needed. I need you girls and have gained so much from your presence in my life. And for those who are not mothers but faithfully pour themselves into the lives of young people, I thank you. I am one whose life has been profoundly touched by you. And I watch as you impart wisdom and grace into other young lives. The Sun is Popping Out! All looked so bright and cheerful to her. So promising and full of excitement. When do we lose this? Why do we find this kind of enthusiasm in children endearing and sweet, but in adults simple and naive and maybe even a bit ridiculous? Is it when we start to see more pain? More of the hard stuff of life? Or maybe it's when we become too busy. Too busy to notice the little gifts of every day. So, how will noticing the cheerfulness of the sun "popping out" really hinder us? How will looking forward expectantly to our birthday make us foolish? And how will seeing in our crayon box all of the colors of the rain make us less serious about life? Beauty and sweet gifts surround us. Why do we choose to miss seeing them? Then, these sweet little people in our lives remind us—quite wisely—to sing about the sun. Or maybe even the snow in May. And Christians, of all people, should find joy to be even more joyful. Things should shine more brightly to us—because we know in whom we ultimately rejoice!